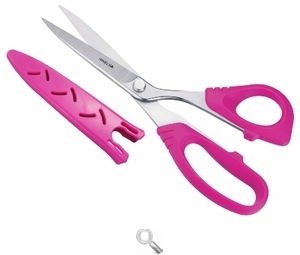 8" Quilting/Sewing Fabric Scissors Scissors for fabric, quilting, embroidery and more at Havel's Sewing. Your source for unique tools for your fabric arts. When you need the perfect scissors for the perfect cut, look no further! 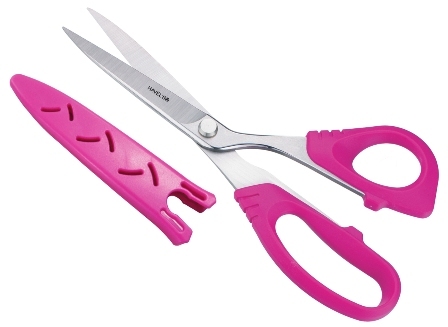 These 8” fabric scissors are made from Japanese stainless steel and are ergonomically designed to cut all the way to the tip. Order today and complete your Sew Creative set! "Havel's Scissors Out Shine Everything"
I love the comfort handle on your rotary cutters, and since I am doing a major amount of fusing and cutting, it is literally saving my wrist and fingers from strain. But, the scissors out shine everything, and frankly about every pair of scissors that I have in my studio. And the best part is that I will be able to say the name brand, Havel's Scissors! I am proud to use them in my studio, and with our students when we teach classes. Thank you so much. See her full testimonial and others here.